The Sacramento Municipal Utility District is a publicly owned electric utility governed by a seven-member Board of Directors. Serving 592,000 customers and a total population of about 1.1 million, SMUD is the sixth-largest public utility in the country. SMUD’s 900-square-mile service territory encompasses Sacramento County and a small portion of Placer County. 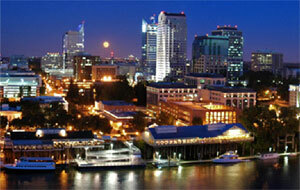 SMUD has been providing public power to the Sacramento region since 1946. The SMUD Board’s vision is to empower its customers with solutions and options that increase energy efficiency, protect the environment, reduce global warming, and lower the cost to serve its region. SMUD’s energy efficiency and renewable energy programs are recognized nationally for their leadership and innovation. For each of the last eight years, SMUD has received the highest customer satisfaction ratings of any utility in the state in the J.D. Power and Associations survey. 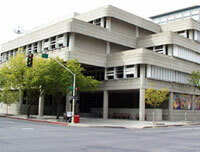 SMUD received the second-highest score in the nation for commercial customer satisfaction in 2010. SMUD has the highest goal of reducing carbon dioxide emissions by 90% by 2050. The California Energy Commission's (Energy Commission) Public Interest Energy Research (PIER) Program supports public interest energy research and development that will help improve the quality of life in California by bringing environmentally safe, affordable, and reliable energy services and products to the marketplace. The PIER Program, managed by the Energy Commission, annually awards up to $62 million to conduct the most promising public interest energy research by partnering with Research, Development, and Demonstration (RD&D) organizations, including individuals, businesses, utilities, and public or private research institutions. For more information on the PIER Program, please visit the Energy Commission's Web Site at: www.energy.ca.gov. The CPUC regulates privately owned electric, natural gas, telecommunications, water, railroad, rail transit, and passenger transportation companies. The CPUC serves the public interest by protecting consumers and ensuring the provision of safe, reliable utility service and infrastructure at reasonable rates, with a commitment to environmental enhancement and a healthy California economy. We regulate utility services, stimulate innovation, and promote competitive markets, where possible. On this website you'll find information about the many initiatives underway at the CPUC. Energy efficiency is the least cost, most reliable, and most environmentally sensitive resource available to meet growing demands for energy services in California. Building on California’s proud history in energy efficiency, the CPUC has accelerated its efforts to create the most ambitious energy efficiency and conservation efforts in the history of the U.S. utility industry. In September, $3.1 billion in energy efficiency programs were approved in D.09-09-047—the largest commitment ever made by a state to energy efficiency. California’s energy efficiency programs—which address the residential, commercial, industrial, agricultural and local government sectors, as well as HVAC, codes & standards, emerging technologies, lighting, workforce, marketing and integrated demand side management will create a reported gross energy savings of 10,000 GWh, 1,982 MW (nearly 4, 500 megawatt power plants), and 200 MMth. These energy savings are projected to avoid 4.9 million tons CO2 emissions. In addition, the funding from this decision can create between 15,000 and 18,000 skilled green jobs. The California Energy Efficiency Strategic Plan (September 2008) launched a new approach to energy efficiency in the state of California. As part of the Plan’s efforts to maximum energy savings, innovations in program design and implementation seek to emphasize technologies aimed at market transformation, process optimization, integrated demand side management, continuous energy improvement, benchmarking, education and training, financing and emerging technology promotion. Launch of a statewide program for residential energy efficiency—CalSPREE—the largest and most comprehensive residential retrofit program in the U.S.
Approval of zero net energy homes and commercial building programs, including design assistance, reach codes and demonstration projects. Completion of an education and training needs assessment that will help target utility and other training courses to ensure a steady pipeline of skilled clean energy professionals. Establishment of Continuous Energy Improvement (CEI) programs for California’s industrial, agricultural and commercial sectors focusing on improving on-site energy management practices. Focus on behavior change, based on a statewide residential audience segmentation to inform the 2010-2012 marketing, education and outreach programs. Mandates for benchmarking of commercial buildings that utilize IOU energy efficiency programs, tracking performance data that will enable education and smarter energy use management. Development of demand-side technology and program integration (energy efficiency, solar and demand response) that will result in cost-effective energy savings focusing on promotion of emerging technologies, development of best-practices and demand-side energy program restructuring and development. PG&E has thrived for more than 100 years providing electricity and natural gas to fuel California’s growth and prosperity. Today, we are embarking on major investments to power California in a new era now beginning to emerge. Perhaps more than at any time since the dawn of the electric and gas business, we see an abundance of innovation, driven by changing economics, advancing technology and new sensibilities demanding sustainable energy solutions. PG&E intends to remain in the forefront of this evolution. We are embracing the changes around us and seeking new ways to meet and exceed rising expectations. Yet we know that as much as the future requires bold thinking and fresh perspectives, these must always be rooted in solid values, sound operations, sensible governance and strong relationships with our customers. PG&E is spearheading $1.3 billion in customer energy efficiency programs between 2010 and 2012. For more than 30 years, PG&E has been a strong, national champion for energy efficiency, implementing a diverse array of programs, services and campaigns aimed at helping our customers save energy and money. In total, PG&E’s programs have avoided the release of approximately 145 million metric tons of carbon dioxide (CO2) into the atmosphere, based on cumulative lifecycle savings, and helped customers save more than $24 billion on their energy bills. Our customers fund these programs through “public purpose program” charges embedded in gas and electric rates. This funding allows us to offer a diverse portfolio of programs that includes a mix of rebates and financial incentives, training and education, support for commercializing new and emerging technologies and other activities, such as advocacy for stronger building codes and appliance standards. For more information, visit www.pge.com. SDG&E is a regulated public utility that provides safe and reliable energy service to 3.4 million consumers through 1.4 million electric meters and more than 840,000 natural gas meters in San Diego and southern Orange counties. The utility’s area spans 4,100 square miles. SDG&E is committed to creating ways to help our customers save energy and money every day. SDG&E is a subsidiary of Sempra Energy www.sempra.com, a Fortune 500 energy services holding company based in San Diego. Today's Southern California Edison (SCE) is the product of more than a century of providing reliable electric service to Central, Coastal, and Southern California. We help our customers stretch their energy dollars through rebates, which they can receive through SCE's award-winning energy efficiency programs. Customers can receive incentives to help control power demand through "demand response" programs that help to keep wholesale supplies and prices under control. As part of our commitment to environmental protection, the electric power we provide for our customers includes more alternate and renewable energy (16.7%), from a greater variety of resources, than nearly any other utility in the world. We have been active in efforts to improve Southern California air quality since the 1940s. SCE is also an active donor to community and educational causes. SCE employee volunteers annually donate more than 700,000 service hours to community and nonprofit organizations. SCE's ethnically and culturally diverse customer base contains one of the largest concentrations of non-English speaking residents in California. Our company celebrates and accommodates the diversity of the community it serves through in-languages services and special programs. An emphasis on diversity strategies, operational goals, and accountability helps SCE maintain its rank in the top tier of Fortune magazine's annual list of the top 50 companies in America for ethnic minorities, placing high on the list at number eight. This is SCE's seventh consecutive year receiving this recognition, which highlights the company's commitment to develop a work force of first-rate professionals that embraces diversity and reflects the customers it serves.